A MAIN road through Eastbourne will be subject to overnight closures for work on a new crossing as part of a crosstown cycle route. Work on the signalised pedestrian and cycle crossing in Lottbridge Drove will begin on Tuesday, January 2 2018 and continue throughout January and February. The road will be closed between the hours of 8pm to 6am from the roundabout outside Tesco to the A22 roundabout, with a diversion route in place via Willingdon Drove, Langney Rise and St Anthony’s Avenue. 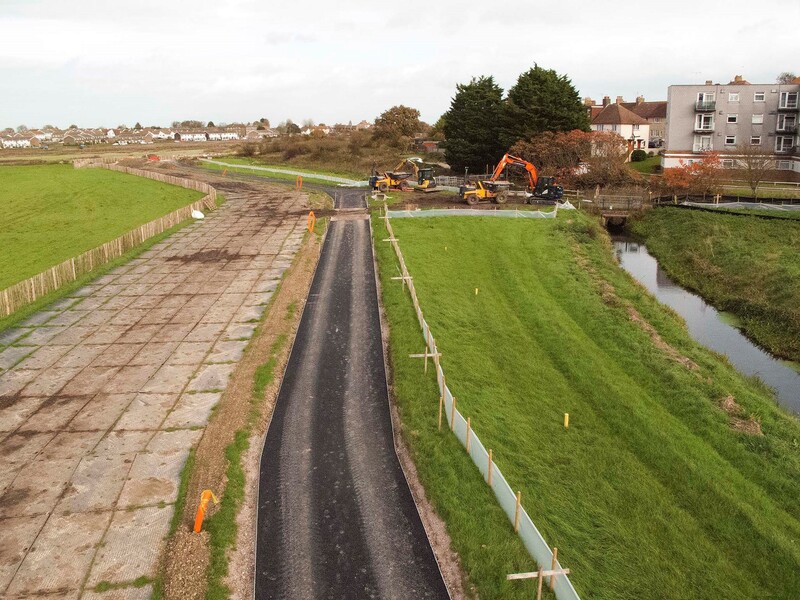 The East Sussex Highways project is part of the third phase of the Horsey Cycleway scheme which, once complete, will provide a safe cycle route from Eastbourne railway station to Langney roundabout. Cllr Nick Bennett, East Sussex County Council lead member for transport and environment, said: “This is another piece in the jigsaw of an ambitious scheme for cyclists in Eastbourne. “The work being carried out will provide a safe crossing point for cyclists and pedestrians alike, part of a scheme which is helping to reduce congestion and improve air quality and health. The work will see the current crossing removed and will include alterations to the existing pavements, central reservation and safety barrier and installation of new traffic lights. Access through the road closure for property owners along the road will be maintained throughout the work. People wanting access to the Tesco retail park will have access from the Seaside end of Lottbridge Drove, which will be unaffected by the work. 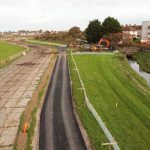 The third phase of the Horsey Cycleway scheme, from Lottbridge Drove to Langney roundabout, is due to complete in the spring, followed by work on the final section near Eastbourne railway station. This entry was posted in Cycling, Roads, Transport and Environment on December 14, 2017 by timf.